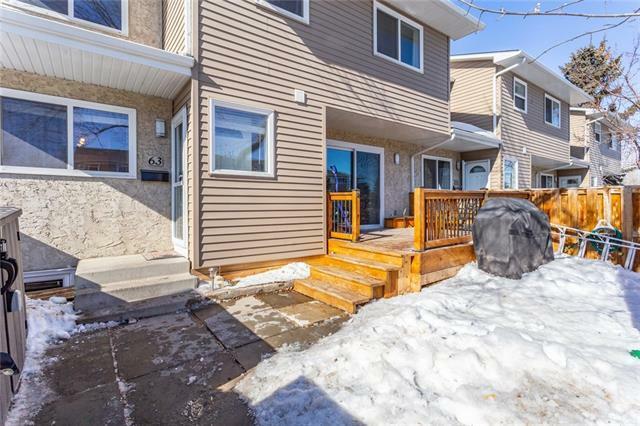 Extensively updated 2 storey end unit townhouse in show home condition. Total of 4 bedrooms +2 bathrooms. Very Bright and Open Plan. 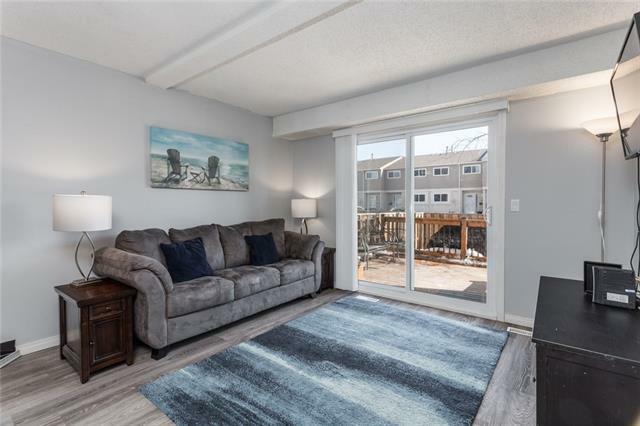 Large living room with corner fireplace with patio doors leading out to a large deck and yard. Updated kitchen with countertops and designer tiled backsplash, stainless-steel appliances and large eating area. 2-piece power room. Recently painted throughout, new laminate flooring and carpeting throughout. Large master bedroom with 3 other good-sized bedrooms with 4-piece updated bathroom. Upgraded window coverings and lights. 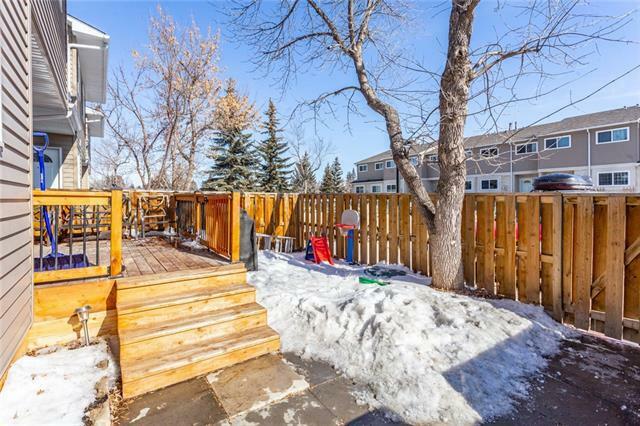 Basement developed with a family room, large bedroom and storage/laundry room. Windows and doors have been replaced. 2 outdoor parking stalls. Pride of Ownership shown throughout. Quiet location! 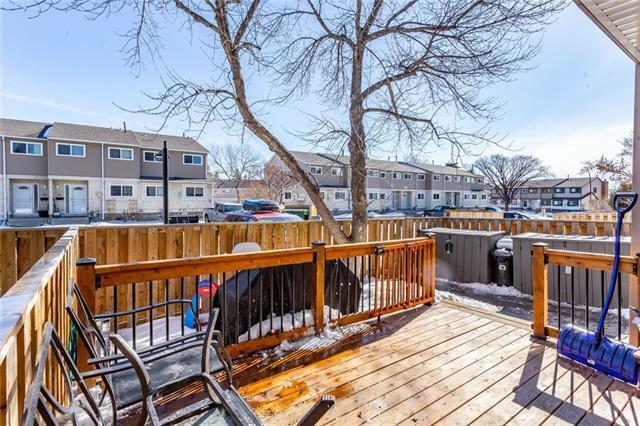 Ideal for first time buyer or young family or investor. Exceptional Value!